Local musician Emma Loo of Emma Loo and Sam talk about their band, community involvement, and their performance on April 6 as the final concert in the series at GRPM Concerts Under the Stars. 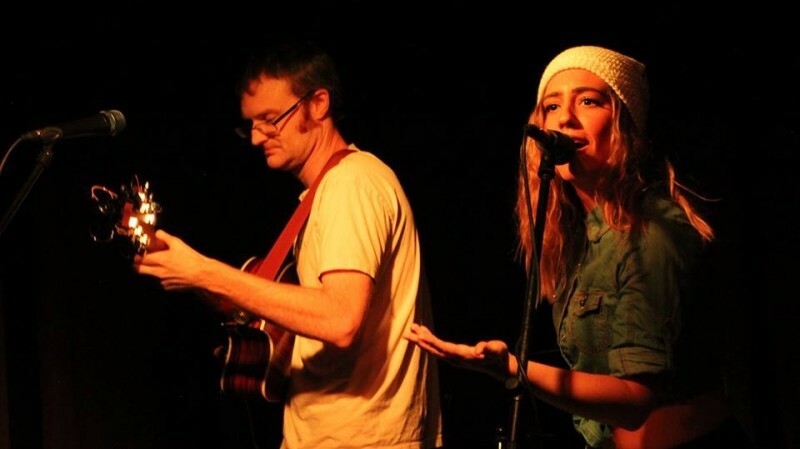 Emma Loo and Sam can be found performing and connecting with the community all over Grand Rapids. The band started in 2012. Emma Loo was raised in Lowell and Sam was raised in Chicago. With their unique psychedelic folk sound, the band has taken off in the community as it has intrigued many listeners. Justin Stover from bluecollarsongwriting.com shares his take on the band. "Emma Loo is an artist of contradictions. Musically, her work fluctuates between the whimsical and the downright weird. But behind it all is a respect for craft and a keen understanding of what makes a song a song. When it comes to performance, her concerts move unpredictably between the controlled and the chaotic. Stylistically, her work balances precariously between the traditional, soulful pop of Diana Ross and the unfettered art-rock of Laurie Anderson." Their music has brought the community together, creating awesome experiences at many of Grand Rapids’ hot spots, including Tip Top Deluxe Bar & Grille, The Intersection, Mulligans, Rocky's Bar & Grille, Flamingo Lounge, and the UICA. They also perform at house shows and play benefit shows. Some of these include assemblies at Lincoln School and for the Grand Rapids Veterans. Emma Loo taught at Girls Rock Grand Rapids as a Band Teacher, and loves connecting with all ages. John Sinkevics, of www.localspins.com, said, "Emma Loo creates unusually striking music, constantly shifting ‘inter-dimensional communication,’ armed with a keyboard, vocal effects and an uncanny knack for writing catchy, quirky, boundary-pushing songs."